Mitigating microbial growth is paramount for preventing microbiologically influenced corrosion (MIC) and souring in oil and gas applications. Information regarding overall population, metabolic subtypes present and presence of biofilms are all important to determine the best course of action. The first step in mitigating microbial growth is to assess the level of microbes in fluid or on surfaces prior to treatment. On-site, this can be accomplished with easy to use, reliable microbial testing technology – ATP Test Kits. ATP test kits are simple field tests that detect the overall population of microbes by measuring the metabolic activity of a molecule (living cell) called adenosine triphosphate, or ATP. All-inclusive results in minutes provide enhanced monitoring capabilities for superior control of microbes in your process. 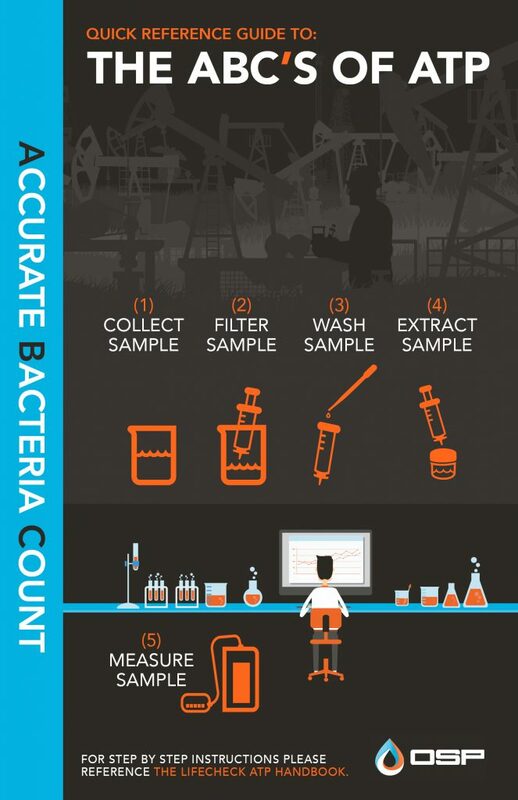 These on-site field ready tests easily evaluate the microbial content of fluid or solids in oilfield and industrial applications and identify the potential microbial threat. Gain access to the accurate bacteria count with ATP Test Kits. For full step by step instructions, please reference our LifeCheck ATP Handbook.